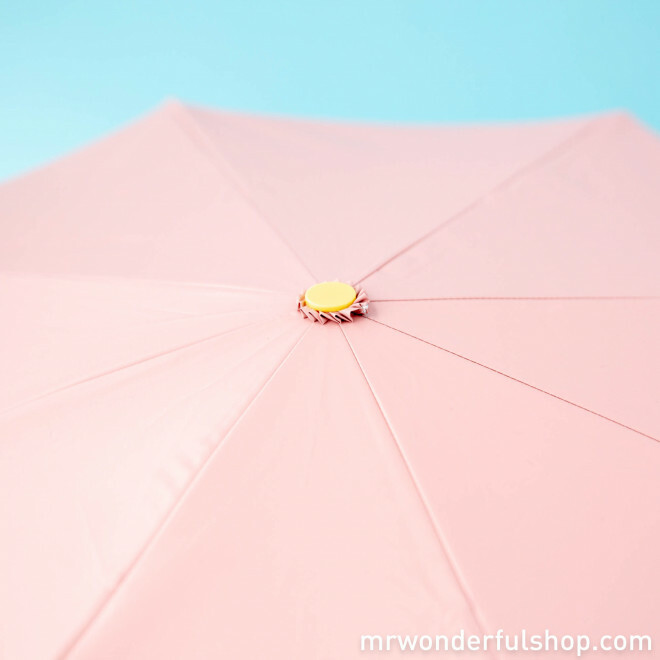 If you get up in the morning and the first thing you do is take a look at the weather or listen to the radio to see what the day will be like, and you find out it is going to rain, no doubt you grab your umbrella even if you see blazing sunlight outside. 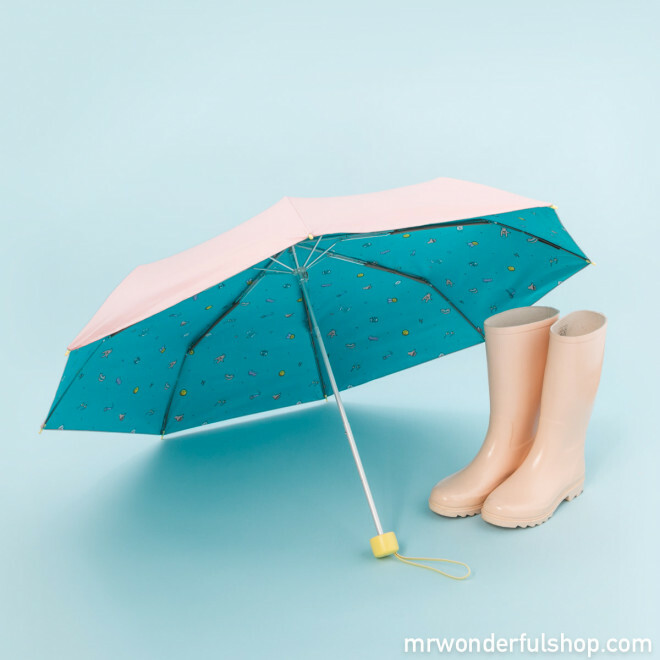 So put on your favourite playlist, do some dancing before breakfast and don't forget your umbrella in case Noah's flood makes a return. 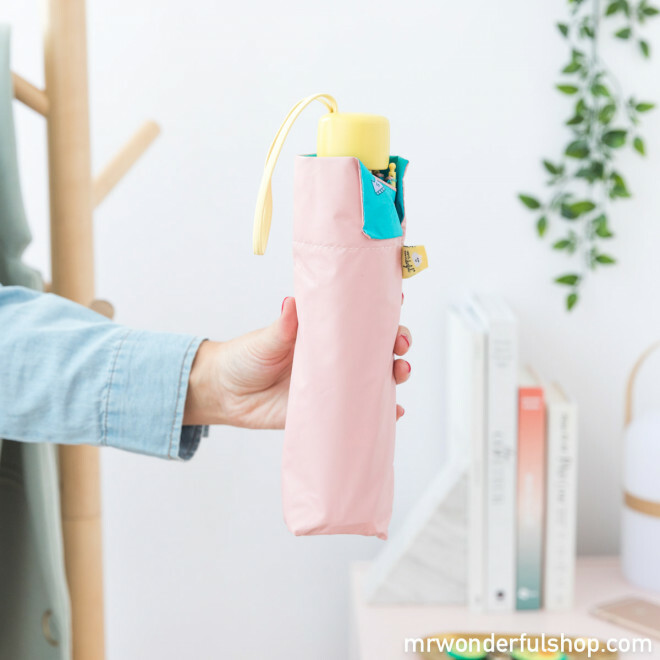 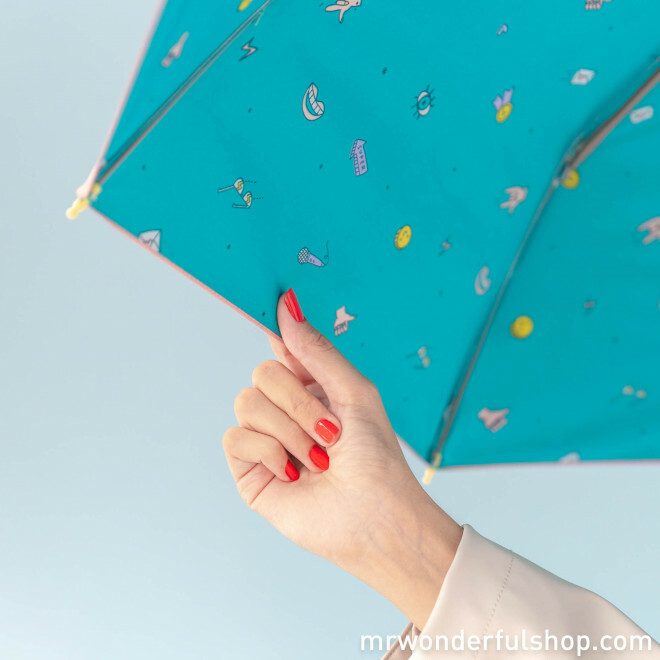 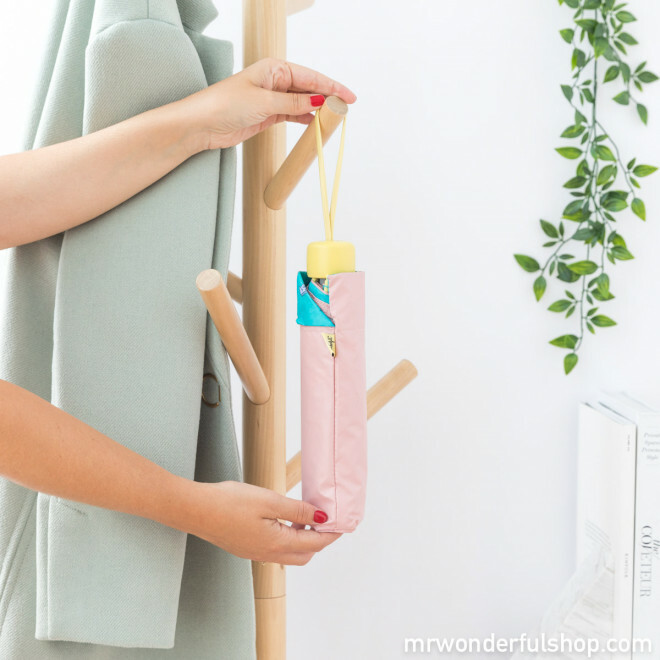 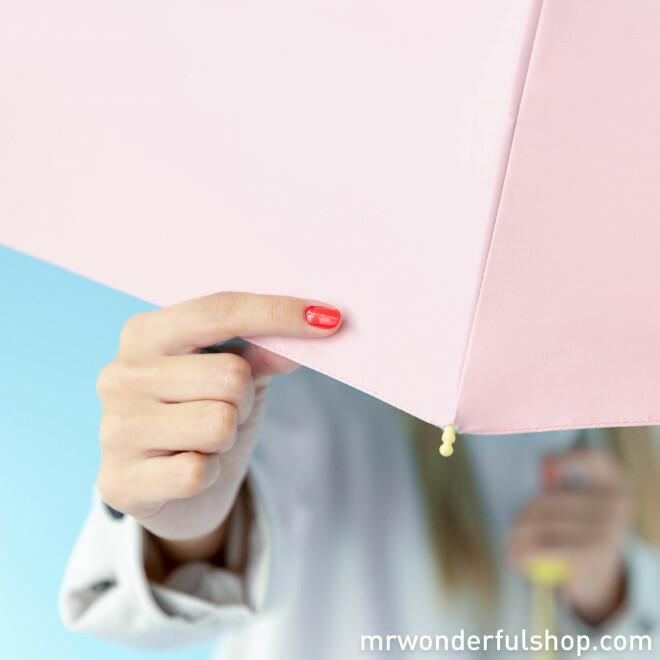 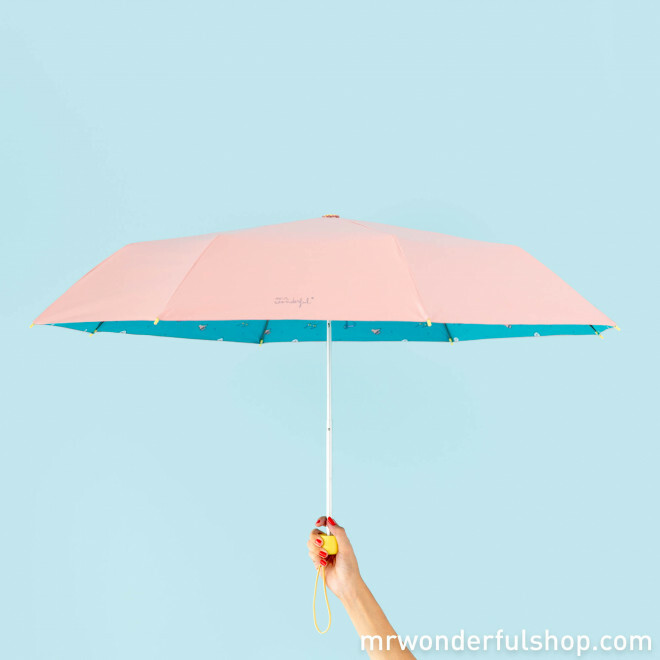 This medium-sized foldable umbrella is auto-opening and has a modern, supercool double-sided pattern. 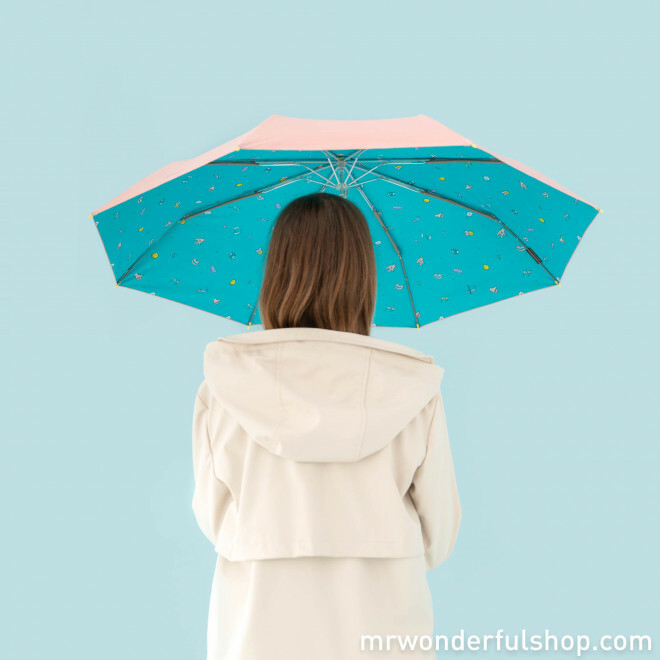 It is turquoise on the inside and light pink on the outside: perfect for going anywhere in style even if it is raining cats and dogs! 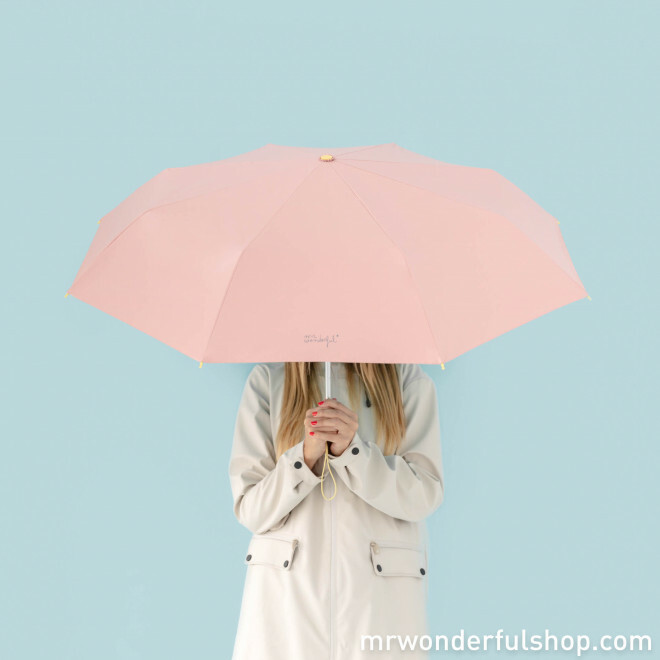 Manual-opening, eight reinforced rods, made of polyester.